Check out our new gear swap section. Since our website see’s quite a bit of visitors, and our membership includes a few hundred stellar fisherman, we decided to connect the resources and provide a classified service. 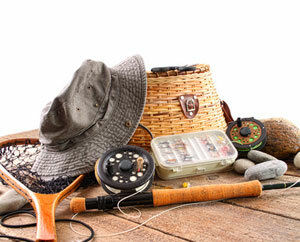 We hope everyone enjoys this new resource for to buy and sell used fishing camping and outdoor gear. If you are not a member already, consider becoming a member! This section of our website is designed to facilitate an opportunity for members to list and sell fishing, camping and related gear to sportsman interested in the sport of fishing. Ontario Steelheaders in no way will broker, arrange or participate in transactions or resolve disputes. It is up to the buyer and seller to make arrangements to complete the transaction. Choose a central location or maybe meet up on the Saugeen River! Questions? Read the FAQ, watch video or contact us with questions, recommendations and suggestions.